It’s the Valentine season; that means it’s time address matters of the heart. I suppose you can do that anytime, but this is when we show it with cards, flowers, and chocolates. So when we think of love; we think of it as everlasting and the bond that keeps us together. 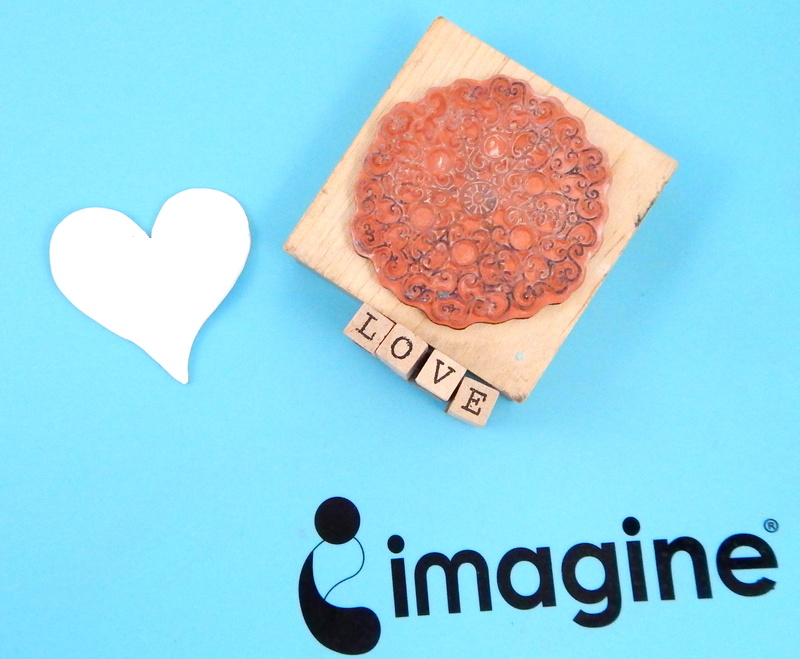 I wanted to tie the sentiment of everlasting love with a vintage looking card so I chose Imagine’s Walnut Inks which embody all things vintage. Walnut ink is a perfect choice for an antique look. For this project, I used Eucalyptus Walnut and Original Walnut inks for the background. I have also embossed white wildflowers and accented the card with a polymer clay heart that I colored with a StazOn inker. Brush on the Eucalyptus Walnut ink using the Sumi-e brush. This brush contains natural bristles. It’s very soft and soaks up a lot of ink and glides on smoothly. Dry paper. Brush on the walnut color ink. Dry the paper. Cut paper to the desired size. Ink and emboss the flowers with the Cloud White VersaMagic ink and White Embossing Powder. Add Vintage Sepia VersaFine ink to the edges. Condition the FIMO clay on the pasta machine or use a roller. If using the pasta machine, roll a sheet of clay to the 4th thickest setting. Create a heart template by drawing a heart on a printer paper. Cut out heart. Use this heart to trace over the sheet of clay. 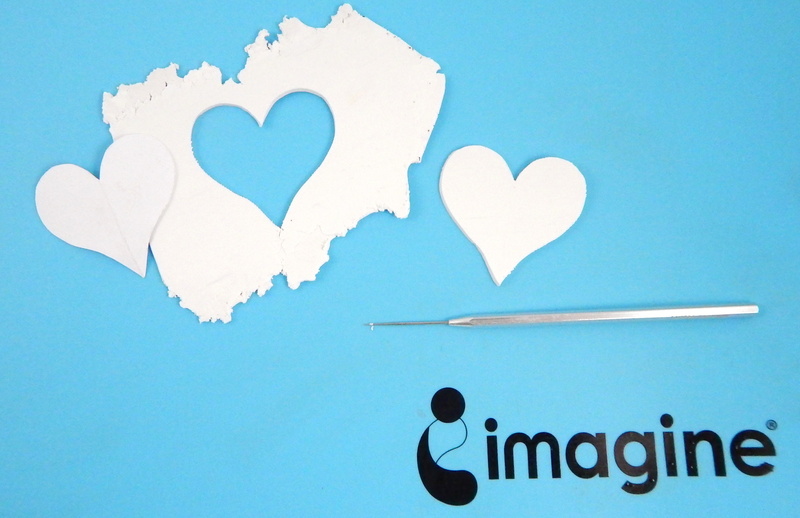 Using a clay pick or precision knife, cut out the heart and smooth out the edge. Stamp texture and/or a sentiment into the clay heart. Bake the clay, according to the manufacturer’s instructions on the package. 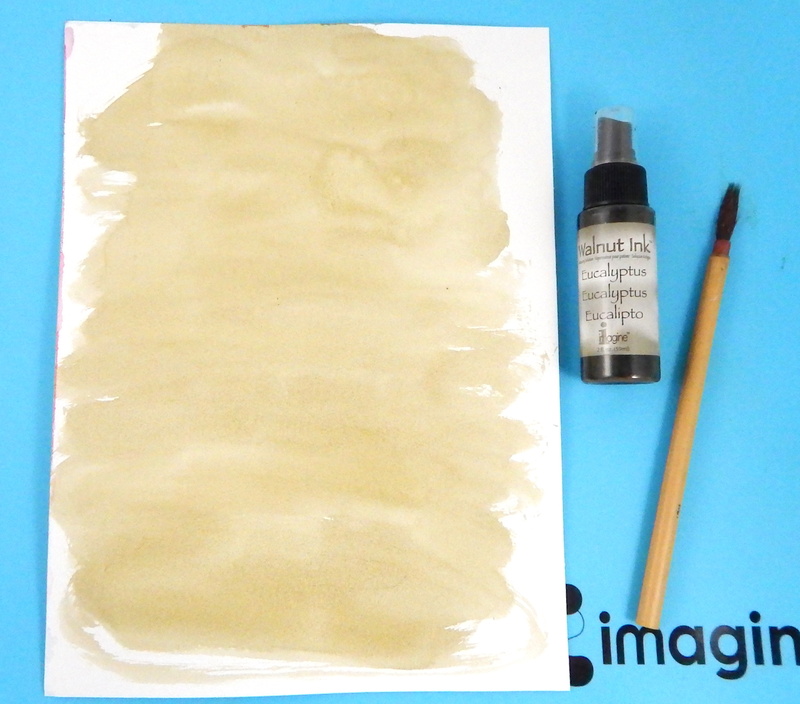 Using a small brush, add Real Black All-Purpose Ink in the recessed areas. 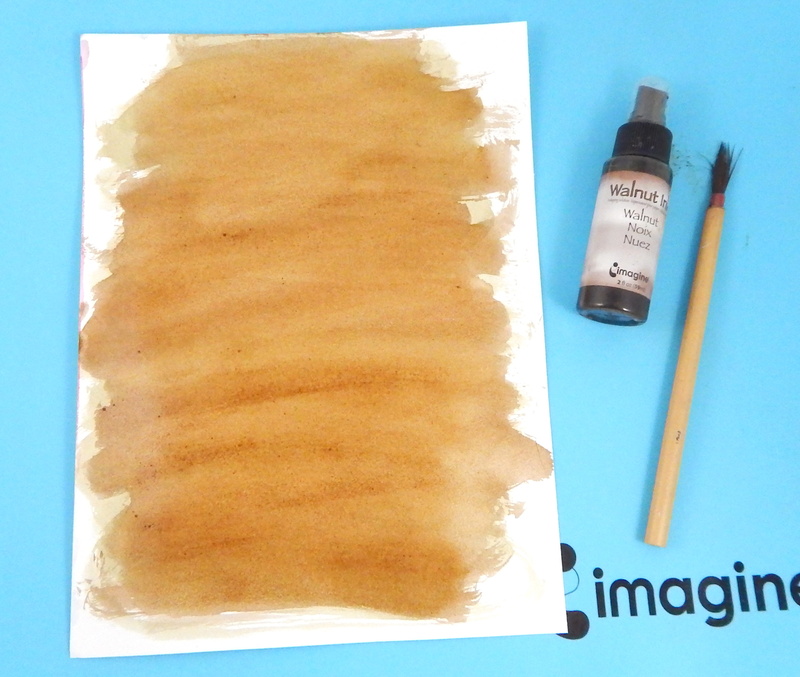 Wipe off the ink from the raised areas with rubbing alcohol and paper towel. 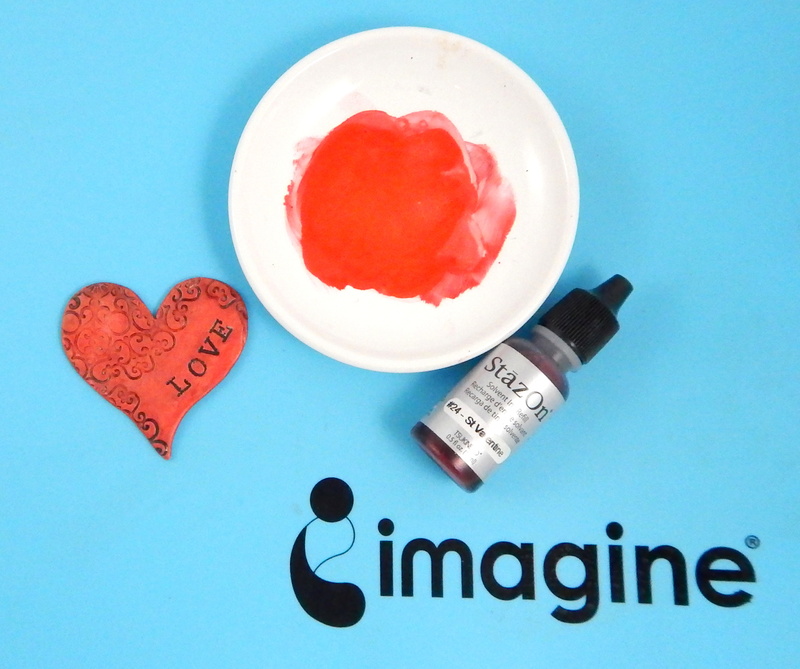 Mix 2 drops of the St. Valentine StazOn inker with 2 drops of rubbing alcohol in a non-porous container. A little of ink and rubbing alcohol goes a long way. With your finger rub it onto the clay, or you can use a Sponge Dauber. Heat set. 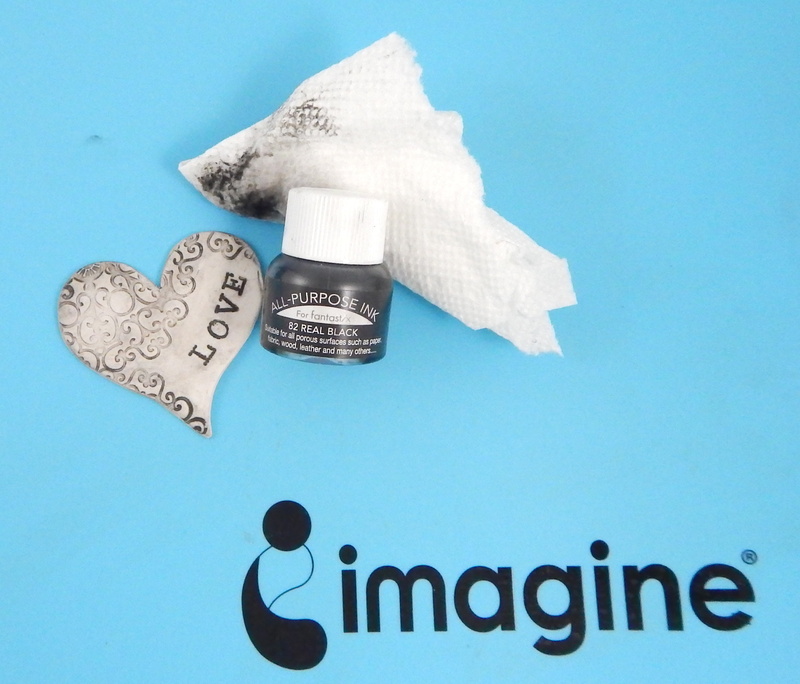 Ink the edges of the heart with tip Brushstix and Jet Black StazOn ink. Tips for working the StazOn Ink and rubbing alcohol. To get a darker color, continue to add additional layers and heat set in between layers. To add blending effects or to lighten the color, rub on a clean Sponge Dauber containing a little bit of rubbing alcohol on the tip. The more rubbing alcohol is added, the lighter the ink. To remove the color, clean with rubbing alcohol and paper towel. The ink will not be completely removed; it will look lightly stained. If ink and rubbing alcohol in the container dries, activate by adding a small drop of alcohol. Smoosh on Vintage Sepia VersaFine on the hemp string. This makes it look rustic. 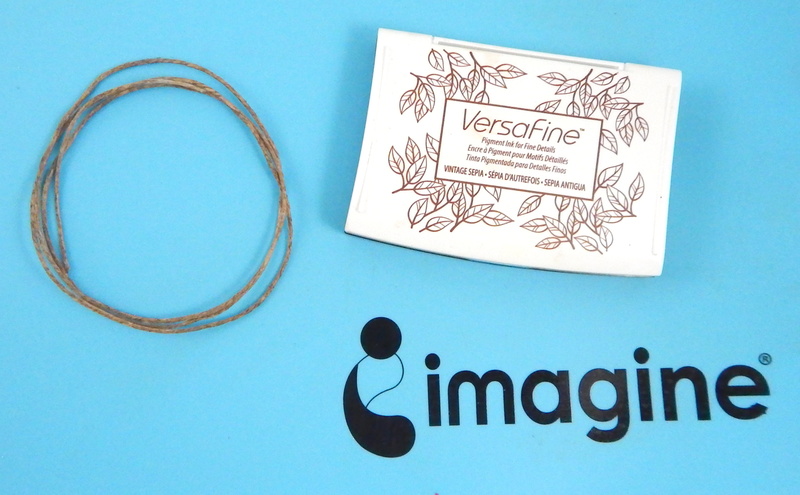 Shape the hemp string into a circle, ensuring that it fits around the heart. Pick three areas and glue all individual strings together with On Point Glue. This will help make the surface area to adhere to the card. Assemble the card. Glue the hemp string and heart with the On Point Glue. Adhere to the card with Tear It! Tape. This entry was posted in 2018 ARTIST IN RESIDENCE, Cards, DIFFICULTY LEVEL, DIY, INSPIRATION, Intermediate, Iris Rodriguez, Mixed Media, PROJECTS, Techniques and tagged All-Purpose Ink, cardmaking, Cards, DIY, DIY Inspiration, INSPIRATION, Polymer Clay, StazOn, stencil, VersaMagic. Bookmark the permalink.